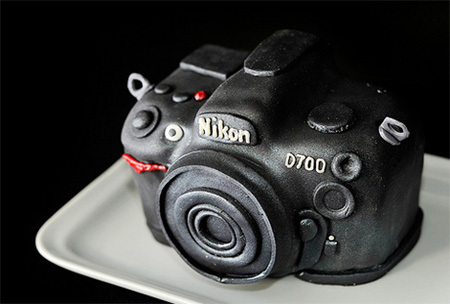 Not only was Flickr user Fsumaria surprised with this beautiful Nikon D700 DSLR cake for her birthday, but her husband gave her real camera as well. 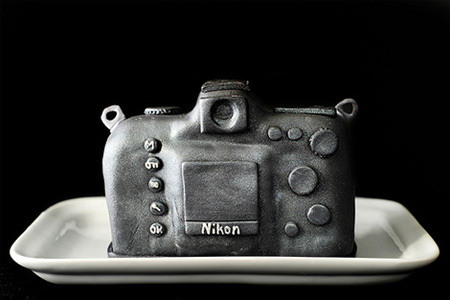 Nikon cake made by Granny Schmidt’s bakery in Emmaus, Pennsylvania. The outside was made of fondant and the inside is red velvet cake. Superb! I guess you really can have your cake and eat it too. More like…. 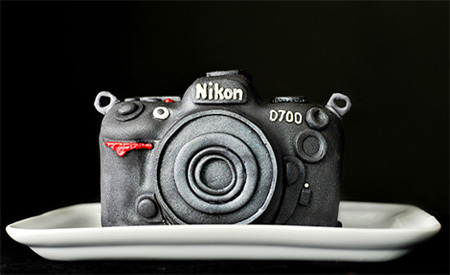 INEDIBLE Nikon D700 DSLR Cake! Wow, you did a great job! It’s way to nice to eat. So, what kind of lens you got on that? I JUST YESTERDAY received my D700, this would have been a beautiful bonus! Looks so good! Those cakes that look like things look so gross, what is that wierd icing stuff? looks like the same stuff that the ace of cakes uses. @kolina, it’s a type of icing called “fondant.” I agree with you, it doesn’t look appetizing. It looks like modeling clay! I’ve never had it, but have heard it’s not as good as normal creamcheese or butter cream icing. Fantastic job! More patience than me for sure…. Modeling clay? Man…it takes all kinds. stumbled here… that’s freaking awesome. 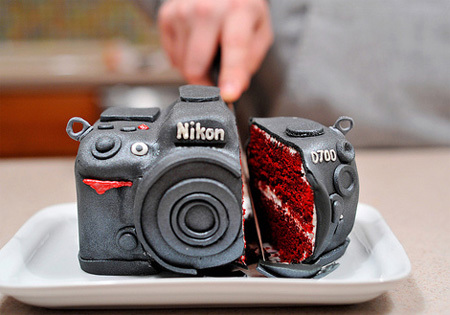 that’s sick…who the hell would eat a camera? isn’t that toxic? Awww! best husband ever! And what a talented cake maker! 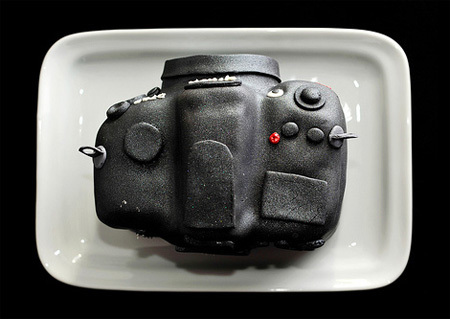 Love the concept – very creative to give the cake and then the real camera to boot! But I have to agree – I’ve used it, and fondant is nasty tasting! I’ve heard that cake makers intend for you to pull it off before the cake is served. Has anyone else ever heard that? This is an amazing creation!!! How does one get icing of that consistency? 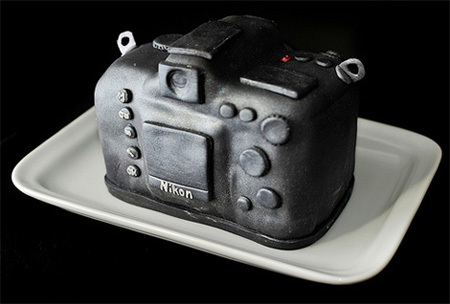 that shows u can always eat a nikon, but not a canon. :P ahaha. masterpiece.